You are here: Home / Homemade Vegan Staples / Gluten Free Vegan Bread Recipe Without Yeast – Cheesy Vegan Breadsticks! 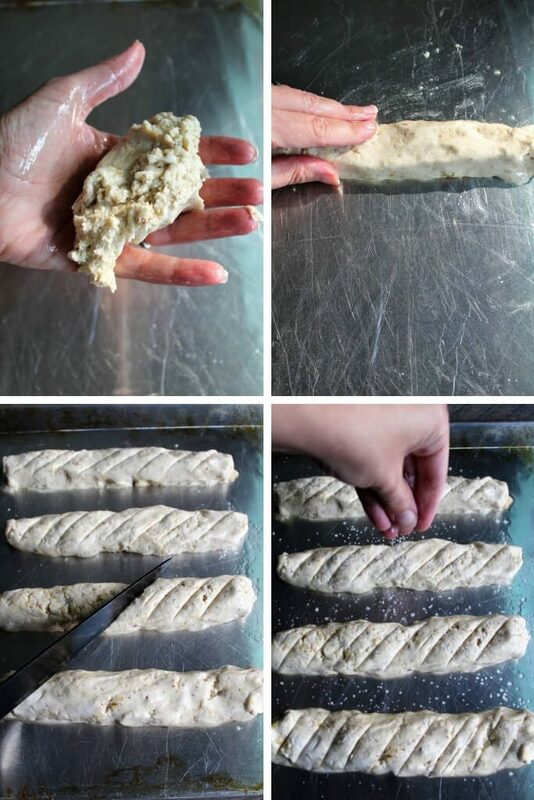 This gluten-free vegan bread recipe without yeast is the easiest way to make gluten-free vegan breadsticks! They have no dairy, eggs, gluten, or soy – yet they’re delicious and can be whipped up in minutes. They are free of gluten, dairy, soy, yeast, and nuts, so just about everyone can eat them. Nothing beats fresh warm bread of out the oven! They are easy to make in just 30 minutes. Bread sicks turn soup or salad into a filling meal! They are perfect for dipping into some vegan marinara sauce! What tools will I need to make this gluten-free vegan bread recipe without yeast? You can make them in a mixing bowl, but I have found that it is super quick and easy to just put the ingredients into my food processor and pulse for a few seconds and the dough is done. Either way is quick and easy to mix up. How do I make gluten-free vegan bread without yeast? Start by pre-heating the oven to 400° F.
Then make a flax egg. Do this by mixing 1 tbsp ground flax seed with 3 tbsp water and letting it sit for a few minutes. Next, put in all of the dry ingredients into a bowl (or food processor) and give them a stir. Then, add all the wet ingredients including your flax egg and lightly stir with a fork until it forms a soft dough. (Do not over mix – If using a food processor, just pulse a few times). Put some olive oil on a cookie sheet and rub it with your hand so your hands also get covered in the oil. Pick up about 1/4 of the dough in your hand and roll it into a breadstick shape coating the outside in some of the oil. Repeat this 4 times until you have 4 evenly sized breadsticks. then cut some small lines across the top and sprinkle with salt, seeds, or herbs. Bake at 400° F for 22-25 minutes. Measure very carefully! Baking is a science and if you don’t use these exact measurements the dough will be too soft or too firm. The dough will be similar to biscuit dough – soft and slightly sticky. If your dough does come out too soft and sticky, add a small amount of gluten-free flour to it. If your dough is too firm add a slight amount of water until it is biscuit dough texture. Stir the dough just enough to combine it, don’t kneed the dough! Make sure to put oil on your hands to shape the dough and help coat it in oil. What variations can I make using this recipe? Everything Bagel – Sprinkle with everything bagel seasoning. 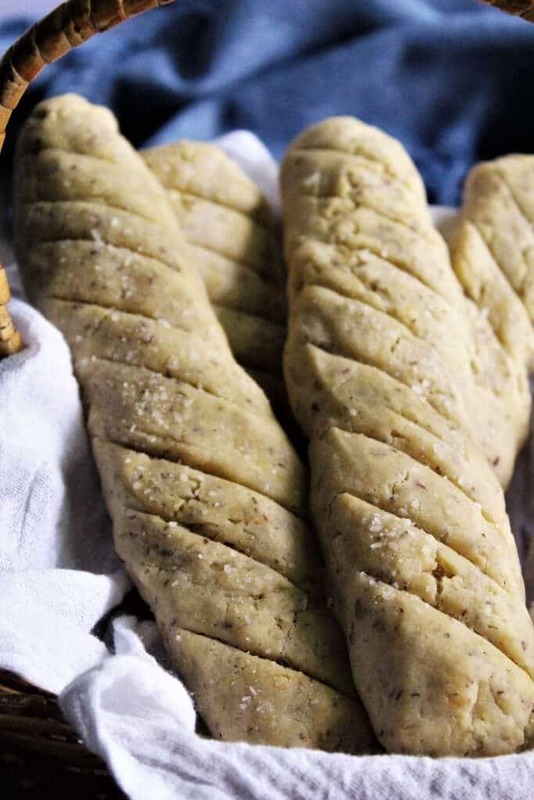 Garlic Bread – Brush with my vegan butter mixed with minced garlic. Extra Cheesy – top with shredded vegan cheese after they have baked for 15 minutes, then bake for another 10 minutes. Focaccia Bread Sticks – Top with extra olive oil, kosher salt, and fresh chopped rosemary. Dip them in this Creamy Rosemary Potato Focaccia Soup! What type of gluten-free flour should I use? I’ve made these gluten free vegan bread recipe without yeast with a few different flour mixes and they have come out well every time, however, my favorite store bought flour mix to use for this recipe is the Namaste brand mix. 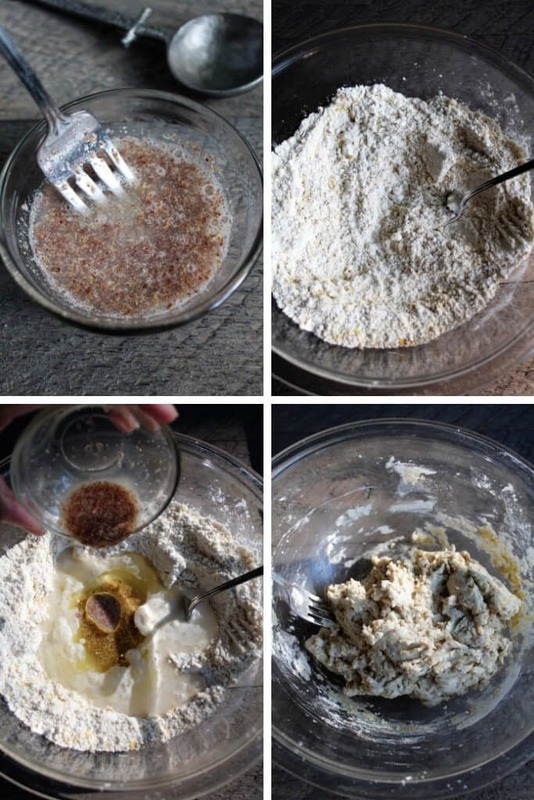 My homemade gluten-free flour recipe also works great for these bread-sticks and nearly every gluten-free baked good. Note: If you use any gluten-free mixes that contain garbanzo bean flour, make sure that they are cooked completely or they will have a funny aftertaste. Want some soup to go with your bread-sticks? Pick a gluten-free vegan soup that you will love to go with your breadsticks! Pin the gluten-free vegan bread recipe without yeast recipe for later! Gluten free vegan bread recipe made without yeast. 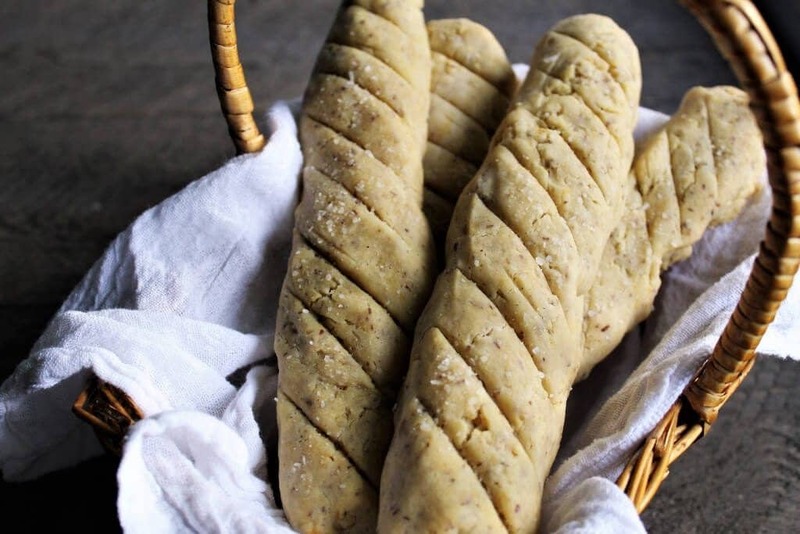 An easy bread stick recipe that you can top with your favorite herbs or seasonings. 2 tbsp nutritional yeast (optional - for a cheesy flavor). Mix the flax meal in water and set aside for a minute. Put all dry ingredients into a mixing bowl or food processor. Stir the dry ingredients or pulse a few times if using a food processor. Put in the flax and water mixture, water, and oil. Stir by folding the ingredients together (or plus a few times with your food processor) until it forms a biscuit like dough. Drizzle some olive oil on a cookie sheet and your hands. Roll out one piece at a time on the oiled cookie sheet to make a bread stick shape and to coat the dough in oil. Use a knife to make lines across the top to make it look like a tiny loaf of bread. Sprinkle with salt and herbs if desired. Bake at 400° F for about 22-25 minutes until slightly golden and crispy on the outside. This will be a slightly sticky dough. Make sure to coat your hands with oil when shaping into breadstick shape. This recipe will make 4 breadsticks that are about 1 1/2 inches in diameter and about 8 inches long. This recipe is also excellent with Everything Bagel Seasoning on top instead of herbs. Sprinkle with rosemary and kosher salt for Focaccia breadsticks. Great for dipping in soups or vegan marinara sauce. If you have a yeast allergy or intolerance, you may not be able to tolerate nutritional yeast. Hi Monica, thank you for this recipe. Do you think it will be possible to freeze these, then defrost overnight? Hi. Could I use a chia egg instead of flax? Hi Julia, I haven’t done it myself, but I think that a chia egg will work well too! Let me know if you try it. Very excited to try this recipe for Thanksgiving! Extra excited to see in the other comments that the nutritional yeast is optional (allergic to all yeasts)!! Do you think I could use this as the bread in a stuffing/dressing recipe? I’m going to try, but thought you might have some word of wisdom for me. Thanks! 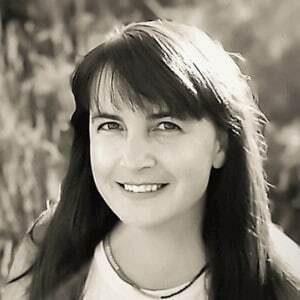 Thank you for your quick and educated insight! I mentioned to my husband that you said these are more “biscuit like texture” and he perked up at the idea of a biscuit, so I’m going to skip the stuffing and just make these! I’ll still try this for stuffing eventually, but this year the biscuit shall reign supreme! Thank you again, and have a wonderful Thanksgiving! What is the purpose of nutritional yeast? My husband has MTHFR gene mutation and is on his no no list of foods. Can I leave it out and add some garlic salt? The nutritional yeast is just for a little cheesy flavor. You can defiantly leave it out. Could you use almond flour with this recipe? I have never, tried it, but I don’t think it would work without some other adjustments. Almond flour is heavier than all purpose GF flour, so I don’t think it will bake up the same. I make the recipe all the time and it only comes out well if I follow this recipe exactly. Any modifications that I have made to it seem to change the chemistry too much and it doesn’t work. A flax egg is equal to 1 egg. You could also use Ener-G egg replacer equivalent to 1 egg. Hope that works for you. Thank you for replying back! I’m excited to try this with a few variations! Missing breads since becoming vegan. This looks delicious. Will order the namaste flour to give you credit. How do I do that? If I just click on the Amazon site on your website, do I need to do anything else? My daughter has randomly been asking for breadsticks lately. These look great – and easy! Thanks! I usually have to make a double batch since my kids eat them so fast. I hope your daughter likes them! Mine definitely did not come out as pretty (I had to add quite a bit of extra flour to make them manageable to shape) but I got approval and clean plates from my husband and daughters. I will definitely be making these again!